The Jasmine Shade is an easy to make fun to display shade. 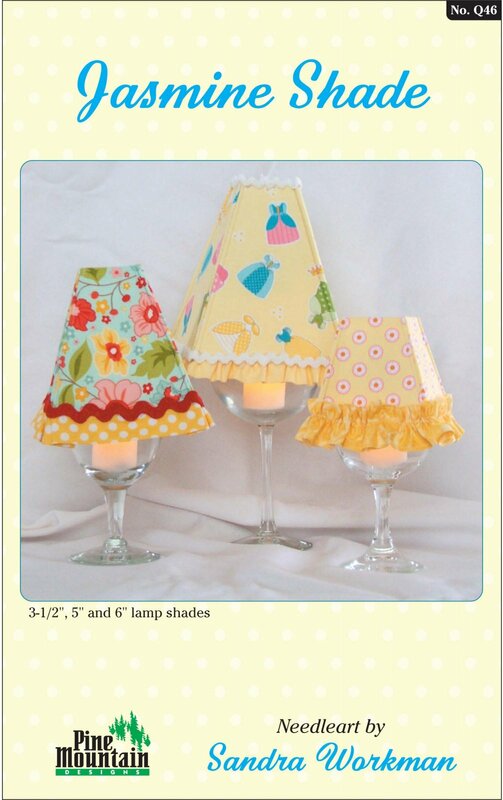 Add a battery operated tea-lite to any wine glass or water goblet and top with an adorable fabric shade. Make in fun holiday fabrics for a fun accent to your holiday decore! Wine glass or water goblet.